Home » Announcements » iTunes Review Giveaway! Update: This giveaway ended on May 31, 2015. I am still grateful for reviews at all times! Sign up for the newsletter so you don’t miss out on other awesome giveaways from the 3-Gun Show! Big thanks to Mark and James at Carbon Arms and Element Multigun for participating in this giveaway! This is over $200 worth of high quality kit, it is stuff I use myself and recommend. If you’re a new shooter that has 3 guns and a holster, you’ll be able to attach all this good stuff to your belt and go attend a 3Gun match. 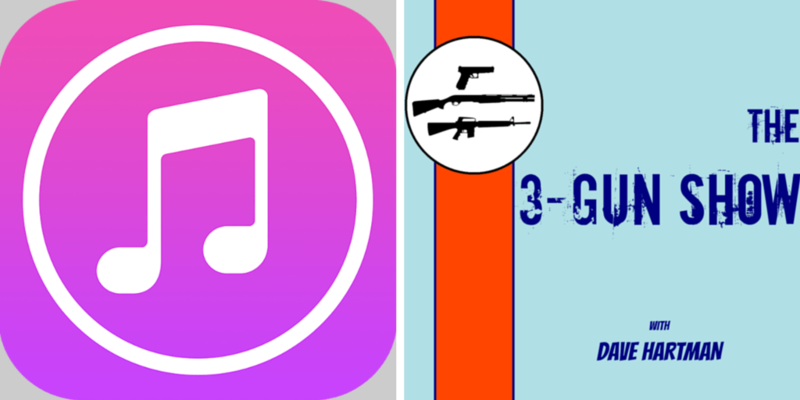 Now to get in on this contest all you have to do is leave a review in iTunes for the 3-Gun Show and before you hit submit, take a screen capture and email it to me at dave@3gunshow.com. 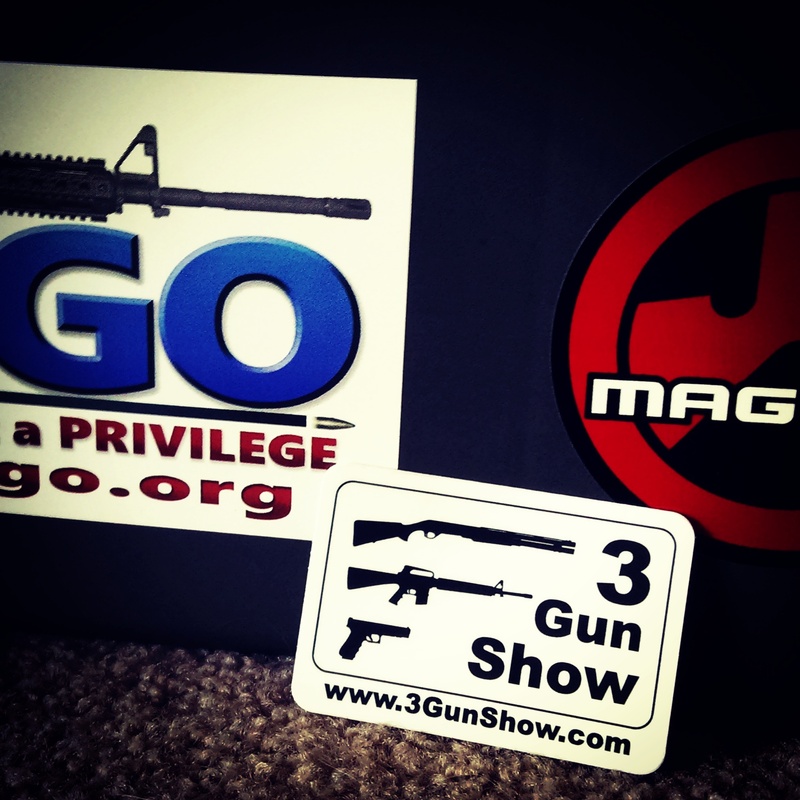 If you include your address, I’ll send you one of the super-awesome 3Gun Show stickers as a thank you. I have about 250 of these and once they’re gone, they’re gone! Previous: Dianna vs. Keith: Who had the best interview? Hey! I’m new to shooting & the shooting sports. I need to soak up all the goodness your podcast is broadcasting from the experts. I also need more gear, like the stuff you’re giving away, so THANK YOU! Feel free to email me back or contact me on YouTube. Thanks for listening, glad you like the show!